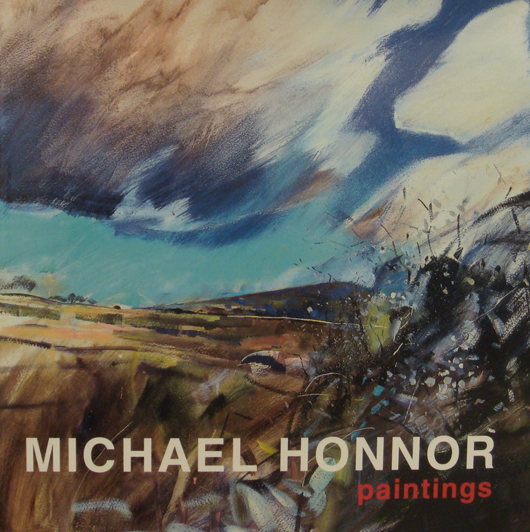 This monograph of the British artist Michael Honnor mainly covers the last twenty years of his paintings and demonstrates his passionate engagement with the British landscape as the raw materials for his art. He paints mainly outside, in a variety of certain often revisited wild places - Dartmoor, where he has lived all his life, the Isles of Scilly, Cornwall, Suffolk, the Yorkshire Dales, Ireland and the West Coast of Scotland. Almost all of his work has to do with water, either rivers, or sea and the weather, light and movement. The paintings which have been described as having 'an exhilarating spontaneity and vigour' also have a semi abstract quality which seems to spring from his direct experience of the landscape - the vividness of the moment stilled but not frozen - Michael Honnor speaks of abstraction as distillation. The book is organised according to place, each of the seven sections having a brief page of almost formless text by Michael Honnor describing his response to a particular place. The reproductions of paintings are very carefully chosen to compliment each other, sometimes in groups of two or four so that every page opening has a visual coherence, and the whole book an evoking sense of movement, light and colour.